This encirclement by NATO is, apparently, about to be expanded: Shirreff will now be satisfied by NATO, even if not by its member the UK, of which Shirreff happens to be a citizen. 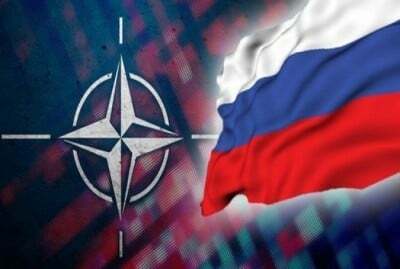 New Europe bannered the same day, “NATO lays down the cards on its Russia policy”, and reported that, “In two distinct pre-ministerial press conferences on Wednesday [May 18th], the General Secretary of NATO Jens Stoltenberg and the US Ambassador to NATO, Daglas Lute, introduced the Russia agenda to be covered. The member States of NATO reiterate that they have no intention, no plan and no reason to deploy nuclear weapons on the territory of new members, nor any need to change any aspect of NATO’s nuclear posture or nuclear policy — and do not foresee any future need to do so. This subsumes the fact that NATO has decided that it has no intention, no plan, and no reason to establish nuclear weapon storage sites on the territory of those members, whether through the construction of new nuclear storage facilities or the adaptation of old nuclear storage facilities. Nuclear storage sites are understood to be facilities specifically designed for the stationing of nuclear weapons, and include all types of hardened above or below ground facilities (storage bunkers or vaults) designed for storing nuclear weapons. Tthe agreement is effectively terminated, and, “Largely as a result of the Crimean annexation, the repeated violations of the Minsk ceasefire agreement, and the demands of eastern flank member states, boots on the ground will increase considerably in the region, if not ‘substantially’,” along Russia’s northeastern flank, in Poland and the Baltics. Furthermore, “Poland has already said that it regards this agreement ‘obsolete’.” So, General Stoltenberg is taking his lead on that from the Polish government. According to both Russia and the separatist Donbass eastern region of the former Ukraine, the violations of the Minsk II agreement regarding Donbass are attacks by Ukrainian government forces firing into Donbass and destroying buildings and killing residents there, however NATO and other U.S. allies ignore those allegations and just insist that all violations of the Minsk II accords are to be blamed on Russia. That is also the position advanced by Shirreff, who thinks that Russia has no right to be concerned about being surrounded by NATO forces. In this regard, it was — though in public and written form, instead of merely private and verbal form — similar to the promises that the West had given to Soviet then Russian President Mikhail Gorbachev in 1990, which have already been rampantly violated by the West many times and without apology. The expectation and demand is clearly that Russia must allow itself to be surrounded by NATO, and to do this without complaint, and therefore also without taking military countermeasures, which NATO would call yet more “aggression by Russia.” Any defensive moves by Russia can thus be taken by the West to be unacceptable provocation and justification for a “pre-emptive” attack against Russia by NATO. That would be World War III, and it would be based upon the same accusation against Russia that the Republican candidate for the U.S. Presidency, Mitt Romney, had stated when he was running against Barack Obama: “This is, without question, our number one geopolitical foe.” Perhaps the West here intends the final solution of the Russian problem.